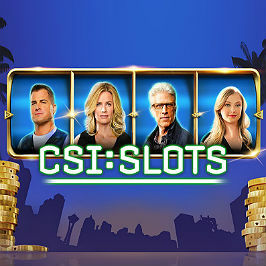 CSI is all about the drama and suspense: exactly what you'll find in the online slot machine based on this popular American crime series. Created by IGT, this five-reel, 20-payline video slot features real characters from the show as well as some great bonus games. 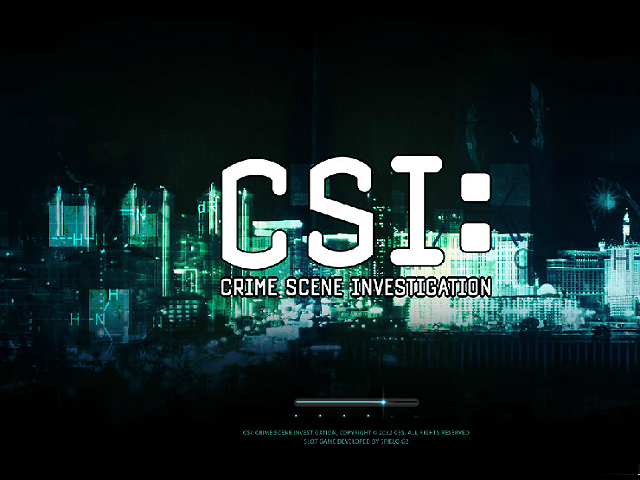 Find out more about the CSI slot in our review as we examine the evidence and investigate. Play CSI for Real Money! CSI: Crime Scene Investigation is a drama series following a team of forensic investigators as they solve murder cases in Las Vegas. The hit show that ran for 15 years still lives on thanks it IGT, who have successfully capitalised on it's huge global popularity in this online slot. The overall styling of the game is very reminiscent of the original TV series. Among the symbols on the reels are characters and icons from the programme including Willows and Captain Jim Brass, crime scene tape, laboratory bottles and a strand of DNA. A light soundtrack in the background is interrupted only when the winning combinations strike, with animations and sound effects accompanying the varying features and bonuses. The first thing to decide is your line bet, which can range between 1p and £5. You then choose whether you want to bet on one, five, 10, 15 or all 20 of the paylines. If you want to speed things up and bet the same amount each time, there’s an auto function allowing you to spin automatically up to 100 times. 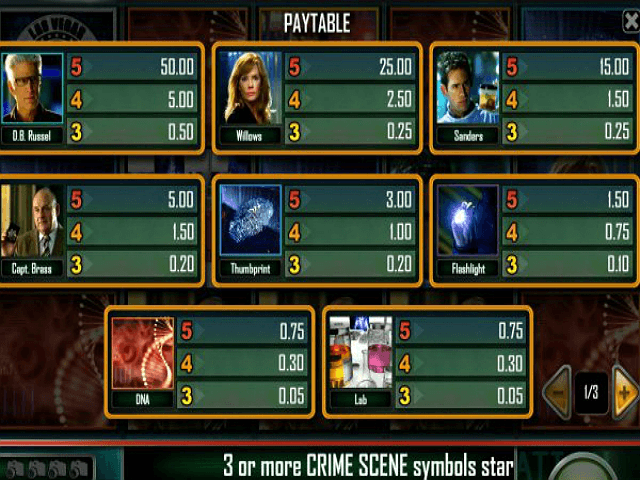 The four characters from the show are the highest-paying symbols in the game, with five D.B. Russell symbols scooping a handsome 25,000 coins. Collect three or more crime scene symbols and you’ll trigger the Crime Scene bonus round, where the aim is to find the four evidence symbols (blood, bullet, shoe print and fibre) and earn a reward. If you land the Lock ‘n’ Re-Spin symbol, winning symbols will lock in place while others will keep spinning to boost your chances of landing a winning combination. Nick Stokes is the wild symbol in CSI and he substitutes for all symbols except the Crime Scene, Free Spins and Lock ‘n’ Re-Spin symbols. No online slot is complete without some free spins. The CSI logo is the symbol you need here – get three of them and you’ll be awarded with five free spins, four of them and you’ll receive 10 and with five of them you’ll be given a generous 30 spins. All winnings during this round are doubled. 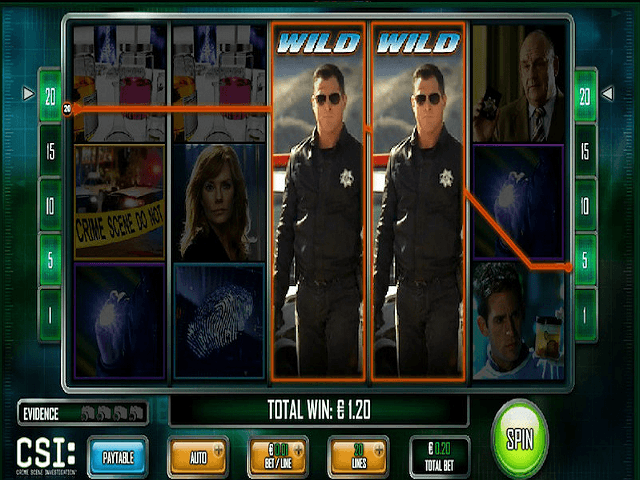 With so many extra features, this slot is sure to keep you on the edge of your seat whether you’re a CSI fan or not. Share this CSI Review today! 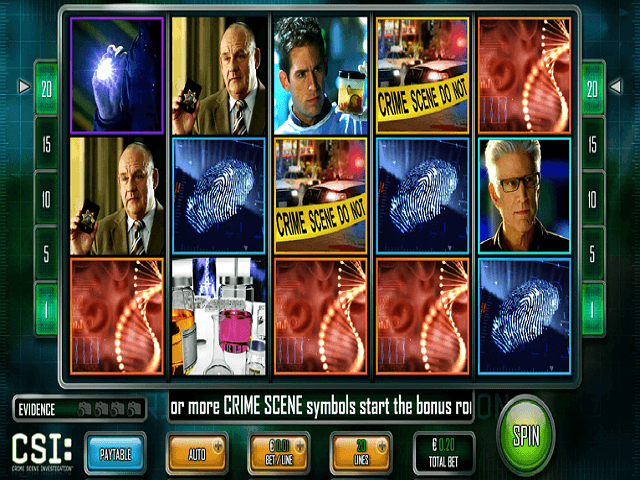 If you like CSI, you'll love these slot titles too!